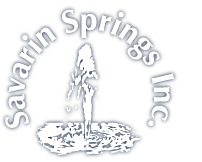 Water Cooler Rental Kitchener | Water Coolers | Savarin Springs Inc. If you rent a water cooler from us, you never have to worry about it as we maintain it for you. You can also purchase with confidence as our Crystal Mountain coolers offer a 5-year warranty. We also carry a wide variety of parts and offer cleaning services for coolers you already own. Savarin Springs also ensures your problem is solved locally as we also handle maintenance problems. Our options are customized to provide a solution for your unique lifestyle. Call us to rent or purchase water coolers.